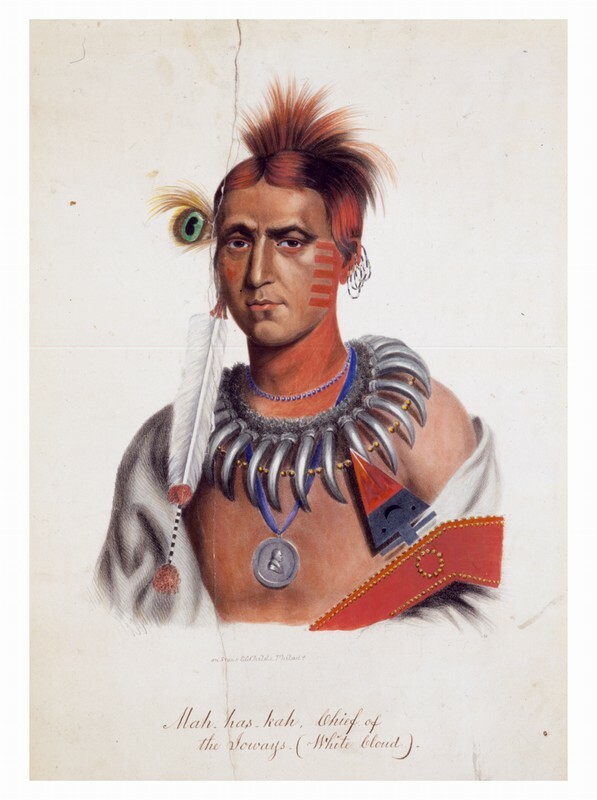 Mah-has-kah, Chief of the Ioways—(White Cloud). (Philadelphia, 1830). Hand-colored lithograph. A trial proof, never used, intended for Thomas L. McKenney and James Hall, History of the Indian Tribes of North America.